SKIDER Mobile is a powerful hardware and software extension of flight electronics. It has physical and software interfaces to the flight controller and to any sensor. 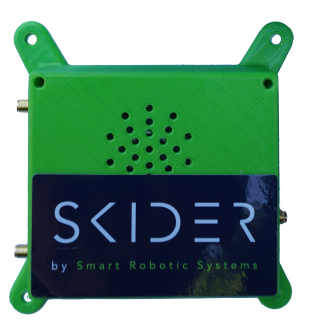 SKIDER Mobile can either be integrated as an add on box mounted on an existing flight platform or as OEM hardware that is integrated into the flight platform design. SKIDER Mobile is powered through the SKIDER Operation System (OS). SKIDER Ground is a powerful hardware and software information hub for unmanned systems. 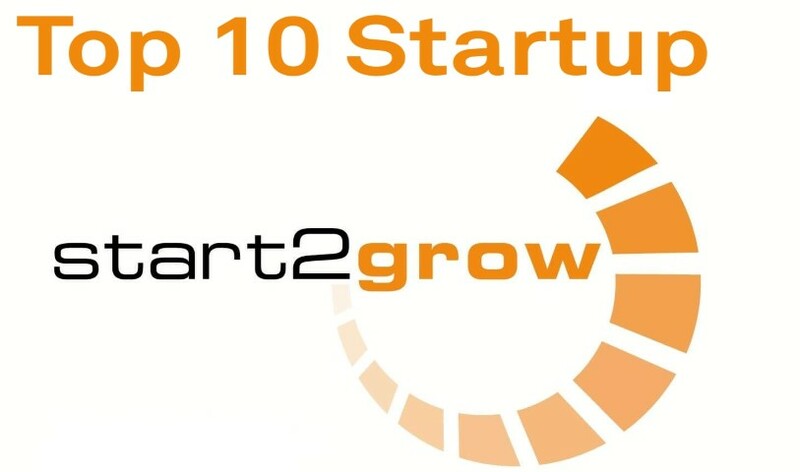 It provides physical interfaces to any backend software and user interfaces. In addition, it manages SKIDER Link connections to one or more drones equipped with SKIDER Mobile. SKIDER Ground provides geo referenced sensor data to the end user through SKIDER-UI and many software interfaces. SKIDER UI enables easy control and management of the drone system. SKIDER UI is multi-user capable and can be used on almost any device including tablets, mobiles or PCs. SKIDER UI allows remote access to the drone system (e.g. for a control center). The innovative SKIDER Link communication systems connects SKIDER Mobile to SKIDER Ground. SKIDER Link utilizes an arbitrary number of communication technologies. The innovative and efficient multi-link scheduling provides increased reliability, data rate and range. It currently utilizes communication links like WiFi, XBee 868 MHz and LTE. SKIDER provides ready to use software for many sensors, flight platforms and use cases. 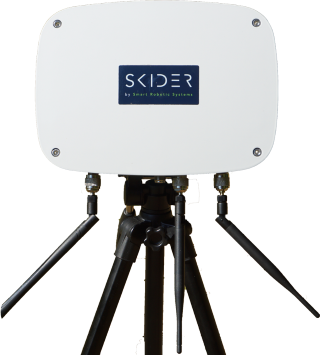 However, as we believe that easy extensibility is the key to truly amazing drone applications, SKIDER offers many extensibility options.